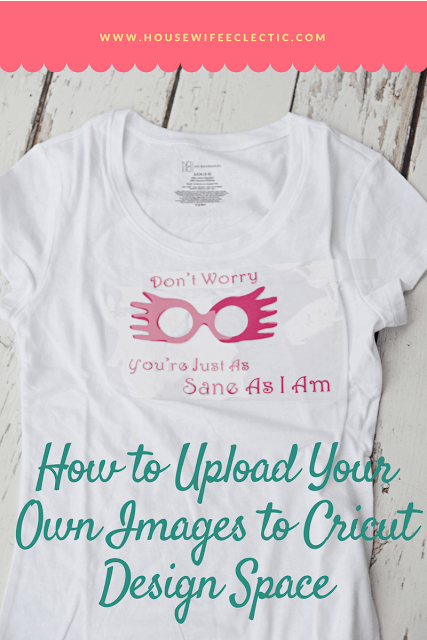 One of the first things people ask me when they are thinking about getting a Cricut is, “How easy is it to upload my own images?” The answer? Amazingly easy! I love this machine because you can create a completely customized project from start to finish in just a few minutes. 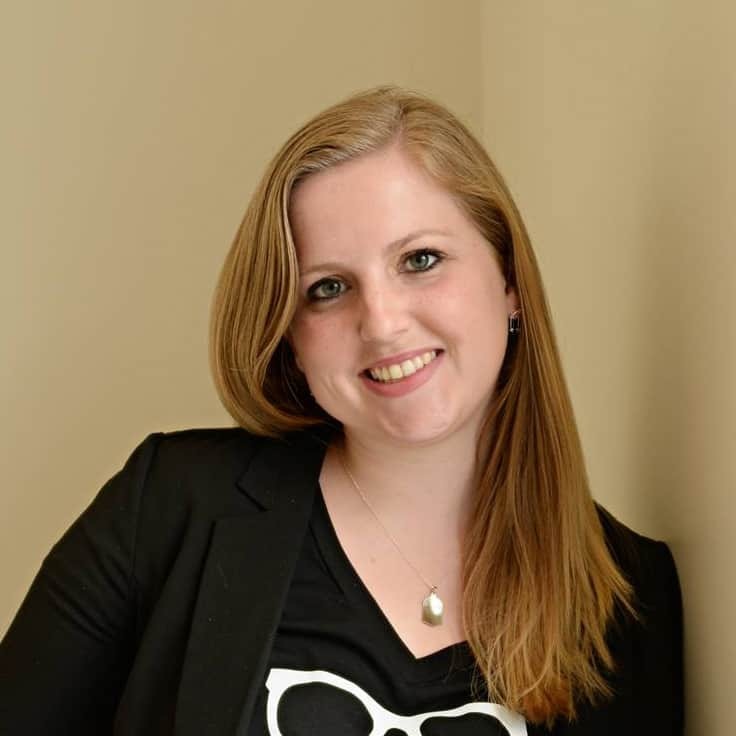 I am going to walk you through just how easy it is to use your own images from start to finish. 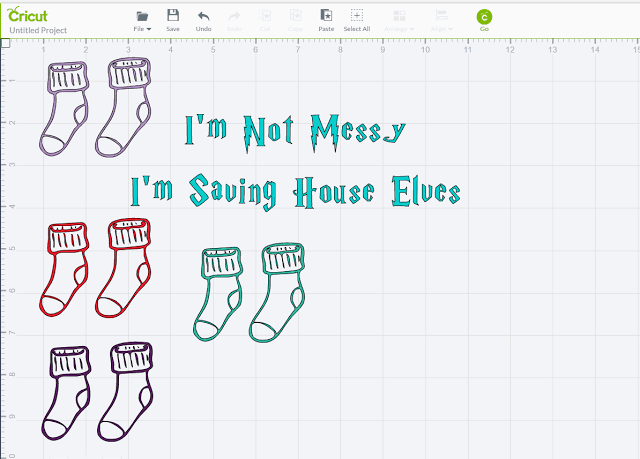 Now to make our Harry Potter shirts. 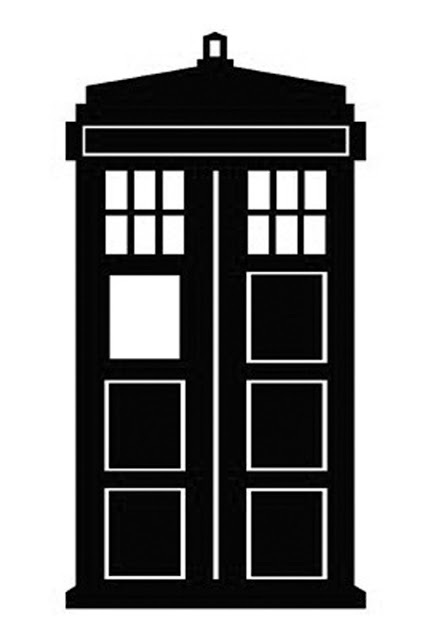 For the My Patronus is a Tardis shirt you will need to upload a simple line image of a Tardis. Download the image below, by right clicking and saving it and then upload it into your Design Space. Then you can resize it and put it where you want it. Type the words My Patronus is a directly into Design Space. I downloaded the Harry P font from Da Font to get my words to look like the Harry Potter font. 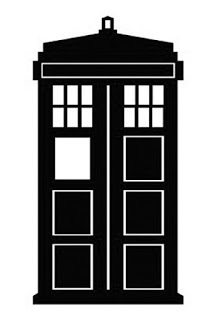 When you have the Tardis and the words looking like you want them, make the words a different color in the program from the Tardis. This will let the machine know that you are going to cut them out of two different colors of heat transfer. Hit the big green GO button at the top of the screen. Make sure to hit Mirror Image (for iron-on) on BOTH of the mats that appear on the left of your screen. So hit the button once on the Tardis mat, then select the mat that holds that words and hit mirror again BEFORE you start cutting. 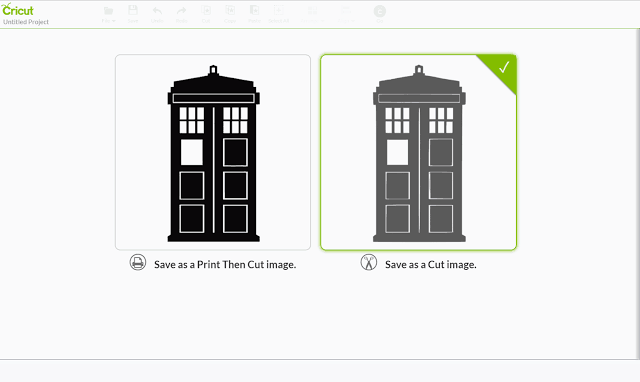 Set the dial on your machine to iron on, load your Cricut mat and hit the flashing go button. 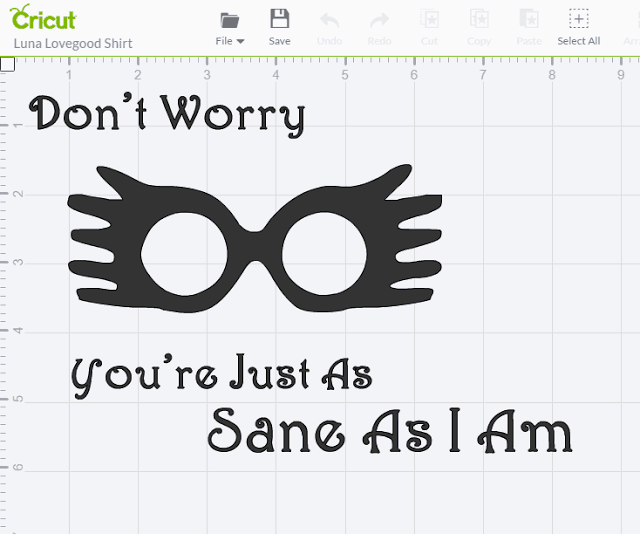 For the Luna Lovegood shirt you will need a serif font as well as the simple outline image of her Spectre Specs. Download the image below, by right clicking and saving it and then upload it into your Design Space. Then you can resize it and put it where you want it. 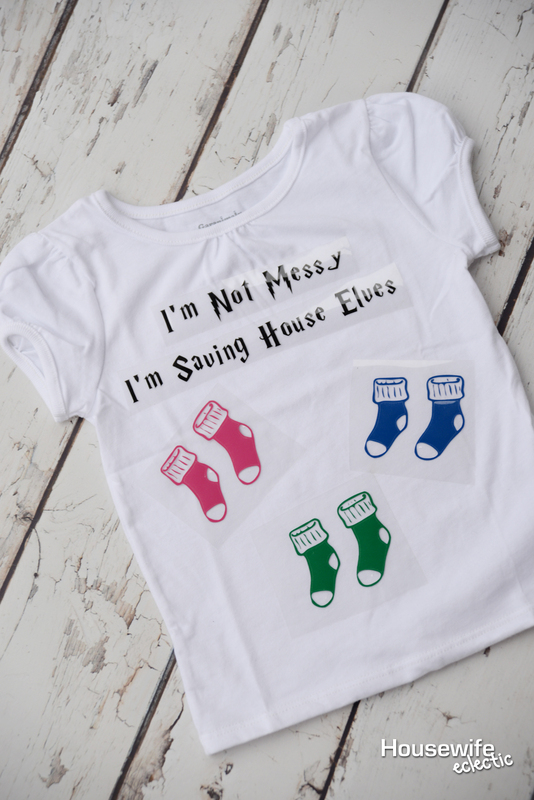 For the House Elf shirt you will need the Harry P font from Da Font again and these cute little socks. Upload the socks into design space, following the procedure in the beginning of the post and type your message into to a text box. Hit the go button, mirror the image for iron on like we talked about earlier in the post, set your machine dial to vinyl and go. When you have one or any of these three shirts cut, weed off the excess heat transfer by pulling a corner of the heat transfer. Take special care around the dots of I’s and other small items. Once your heat transfer is weeded, place it down on the shirt like you want it. Set your iron to the cotton setting on your iron (or about 305 degrees) Preheat the area of the shirt you want to place your vinyl for about 3 seconds then place the heat transfer on the blanket with the right side facing up. Using medium pressure, iron the entire image for about 30 seconds, directly onto the carrier sheet, without any steam. After you finish, I like to flip my shirt inside out and iron for another 10 seconds from the back. Peel the carrier sheet off. If any parts of the image pull up when removing the carrier sheet, stop peeling and iron for a few more seconds in that spot. After the shirts are ironed they are ready to wear immediately! When you wash them, flip them inside out and they will last a long time. 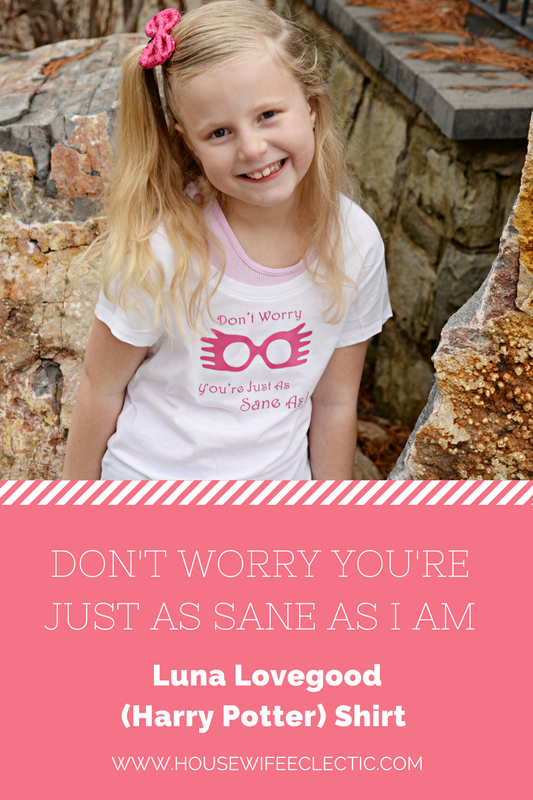 I absolutely love being able to make anything my little girls can dream up and it is so easy too! Which Harry Potter shirt would you make? 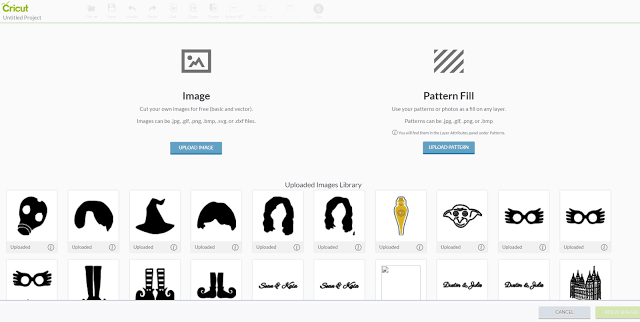 Super cool you are able to upload your own images to create custom t-shirts! I bet this saves a lot of money in the long run! You make these DIY projects so simple to follow with your images and directions. I would love to try this out – and the possibilities are endless! How creative! This looks so cool! A fun activity for kids, and how cool to be able to design your own shirt! I love Harry Potter so much, and it's so awesome that you've designed these shirts! This looks so adorable and pretty easy to do! I bet my children would love these. You make it sound easy, but I think it requires talent! Nice work, and I know my neighbor kids would love these. Oh I can think of so many uses for this tutorial on making shirts! Definitely looking into getting a cricut. I think I have the old craft robo that might work in the garage! Weekend jobs! These are just the absolute cutest! I don't have a cricut but I'm always seeing awesome crafts to do with them! These are seriously so cute! I have heard of the Cricut before but it looks like the possibilities are endless. these are so cute! I really love the luna lovegood one as she is my favorite character! These look so fun! 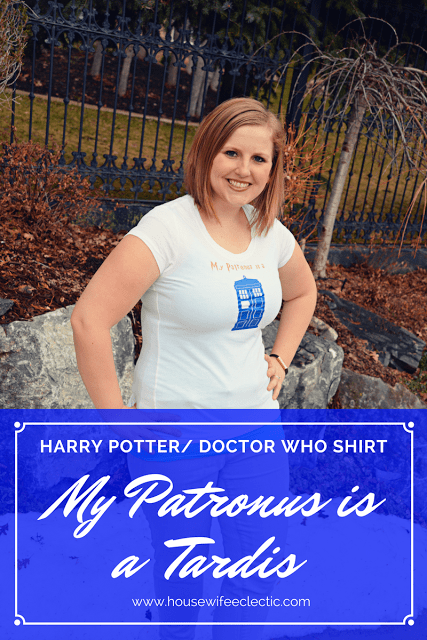 Perfect for any Harry Potter fan! I have really wanted to get a cricut but haven't gotten one yet. This would be fun to do! I just love these designs! So cute! And once again I am so envious of anyone who ones a cricut!! What a great tutorial! I bet my boys would love some custom shirts! These are so cute!I've always wondered how well these work because I've wanted to buy one in the craft store. These are so cute! 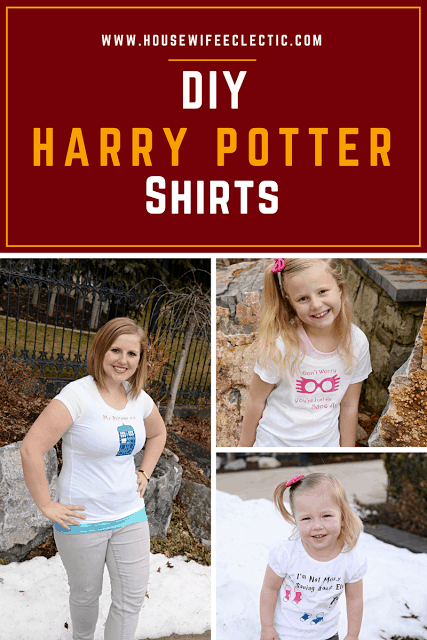 The Harry Potter ones would be great for a trip to Universal studios! So cool!! I want a cricut so bad lol, but I have so many more things on my list before I can get that to make my own monogram items. These shirts are so cute and very creative. I bet you get lots of questions about where you bought them. How cute and how much fun for the kids. Love the elf one! While I don't know anything about Harry Potter, my boyfriends kids do! This DIY is so cute! I love everything Harry Potter, I might have to check this out for myself. These are so cute! 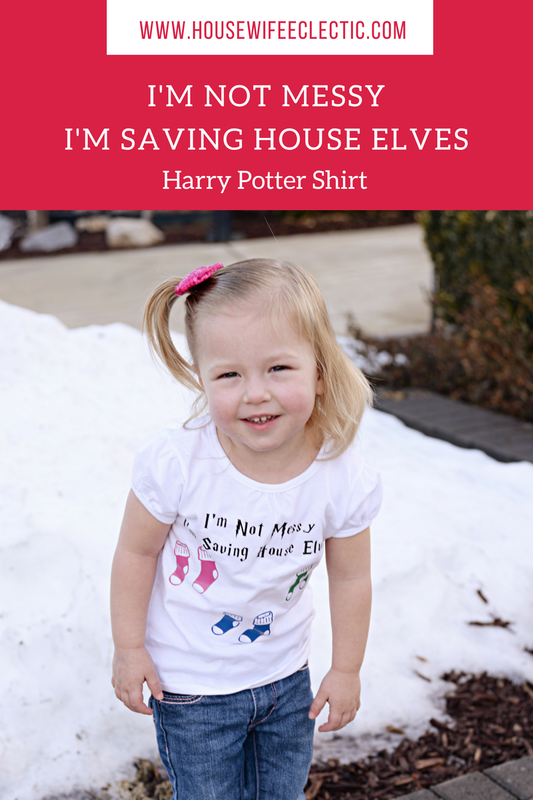 I have been thinking about throwing a Harry Potter party for my kids. These would be so fun to make for all the kids that come! I -just- got a Cricut on Friday! I am SO excited! 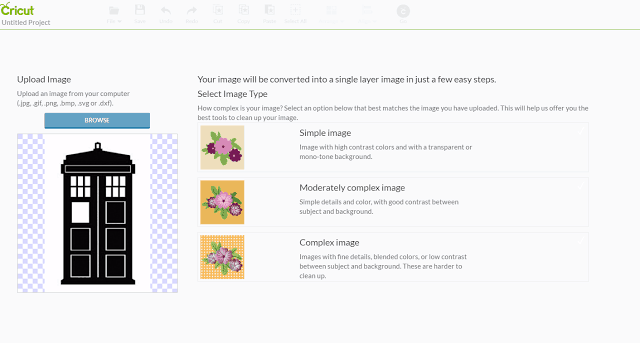 And you answered a question I had — how to change an image I imported to a cut image. This was amazingly helpful. Thank you! I have a Silhouette machine collecting dust in my office. I think I need the new Cricut. Love the shirts and Harry Potter! Too cute.